Daniel Coe has more than 20 years' experience of working in the IT industry. 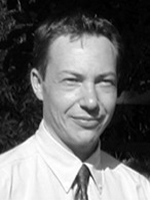 Daniel specialises in designing and building databases. From Oracle 7 in University all the way to Oracle 12g today as well as other database technologies including MySQL and Access. Daniel has a degree in business and computers as well as an MSc in Music IT. He joined Cambridge Online in 1995 where he was a database developer working on aircraft maintenance software for companies such as British Airways and FedEx. Two years later he joined Gemini Genomics where he worked on a full suite of Oracle software including Oracle Forms, Oracle Reports and Oracle Designer. Gemini Genomics specialised in research based on twins with one of it's biggest collaborators being St. Thomas' Hospital, London. The in-house Oracle developed software included a Clincal Data Management suite, a Laboratory Information Management System and other Genotype and Sequencing systems. In 2002, Daniel joined Visible Genetics as Database Manager to set up an Oracle database system comprising of both hardware and bespoke software to cater for the companies various departments including Oncology, HIV and Hepatitis. Daniel joined the RDI in 2003 as Database Manager. He currently manages the RDI HIV data, produces data for analyses, manages the RDI website and also deals with the programming and day-to-day running of HIV-TRePS.